In a shock move this morning, Canterbury architects have confirmed the rumours that the NZIA Architectural Ambassador, Sir Ian Athfield, has abruptly resigned. “Christchurch,” Athfield is reported to have said, “is a one-way street that I’m just not willing to go down.” 70 year-old “Ath” is renowned as an outspoken critic for many things, who also likes skiing – but not enough to stay in Christchurch. 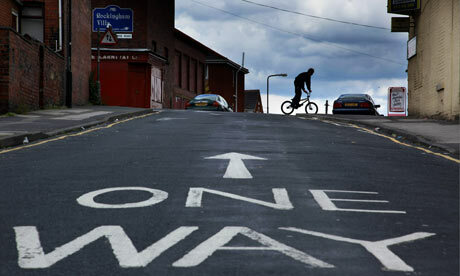 He has made it quite clear that he and one-way streets don’t suit each other. This fracas comes just when Mayor Parker is strategising Christchurch’s post-earthquake re-branding. Insiders say that it was Mayor’s refusal to rename Christchurch “Ath-Vegas” which was the real sticking point. What began as a chummy after-dinner drink apparently turned into quite a scene on Manchester St. The mayor had his list of possible contenders on the back of an envelope (Parkerton, Bobsville … Miles’ warren …) but nothing that even remotely recognised his architectural Sir-ship. Council officers had really just been having fun – even Bob thought it was a hoot, but when Ath saw the favoured option was Biberty-Boberty-town he didn’t so much as do a flip-flop – he just, well, flipped. The Architectural Ambassdorship is now in the hands of Bob the Builder – well, Bob the Mayor at any rate. Let’s see what he can do to save the situation. With he and Ath sharing the same PR company (or so it’s rumoured), it won’t be long until they are both singing to the same PR song-sheet once again.